Home / Torch Techniques / Silver Soldering Basics – How much silver or gold solder should you use for jewelry making? If you fit the pieces you want to solder together so there are no gaps in the seam, it should only take a very small amount of solder to join the two pieces together. The more solder you use the more solder there will be to clean up. Also, if you have solder running all over your jewelry it won’t look very nice. 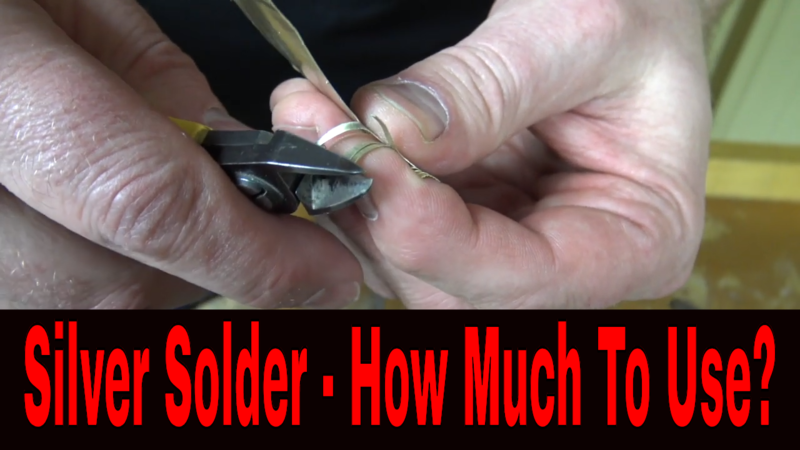 Work on making perfect solder seams and use as little solder as you can. Previous post: Are you using the right Fire Coating for Soldering? Next post: Great Book! Professional Jewelry Making. Feed A Cat.